According to the University of Nevada Las Vegas Center for Gaming Research, over half of the state’s yearly $11.02 billion from gambling comes directly from slots. With $6.75 billion generated by slot machines in the year of 2014 just within Nevada, it is clear that slots should never be overlooked. 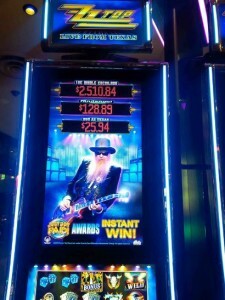 This is why a new type of slot machine is being developed that puts a new spin on the old game. These new machines could give companies like Las Vegas Sands, MGM Resorts International, And Wynn Resorts a better way to attract key demographic groups, such as millennials. According to MGM senior vice president Tom Mikulich, these new machines could be in casinos in Nevada as early as the third quarter of 2016. From there Mikulich believes that it will quickly spread to other states as well. So what’s the deal with these machines? What makes them so different? Game machine makers Scientific Games and International Game Technology try to explain. Senior vice president of scientific games Brian Kelly knows that “the millennials, those under 35, are very social. We are looking at strategy games where you can play against the machine or your friends individually or in teams.” These new slot machines will introduce an element of skill into a game that previously was completely luck based. Kelly believes that this new chance to win is going to excite millennials a great deal. As a first step, these skill-based slot machines will take the place of what is currently on casino floors and add a level of skill. Eventually, the idea is to add in strategy through traditional video game formats in the machines. ”There will be completely, radically different types of games that don’t look anything like what’s on the floor today,” says Kelly. Some slot machines will even allow players to play directly from their smartphones. Other ideas are to build slots into a table so that friends can gather around and compete against one another. These new slot machines are expected to be quite popular in the US and European casinos with the younger generation, and should bring more people back into the casinos. It’s tough to tell exactly how big of an impact these skill-based slots games will have and when exactly we will see competitive strategy slot games in public casinos. However, if things work out as planned these new machines could provide a great deal of interest that is much needed by casinos across the country.